Philosophian reception – lots of fun dipping cream. Not enough sauces to go around, so borrowed Mrs. Stout’s “quick” ones. Fed ice-cream to Phister, Duncan, Miles, Fitzpatrick after the reception. Came back to hall around dark, but “Shiny” chaperone. Y.M.C.A. reception that night. Didn’t want to go, but had real good time. Met two boys who had never seen a football game until they came to State. O, you mountain school-teacher! Mr. Germert, of Louisville brought me home. Miss Hamilton and a select bunch spent the morning in her library. Result- they all love her more than ever. 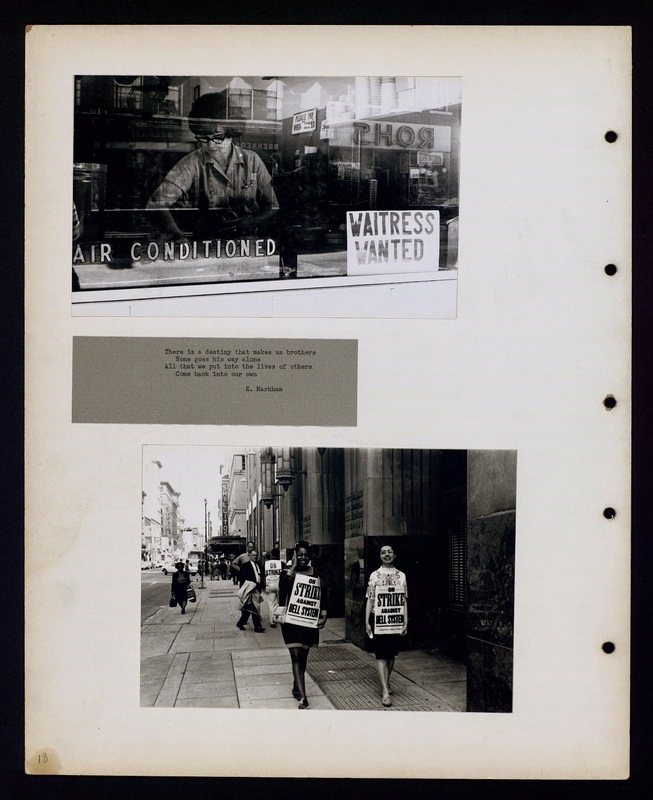 Below is a small sampling of the wonderful images from the Alexandra Soteriou photographs, 1968 (2013av029). 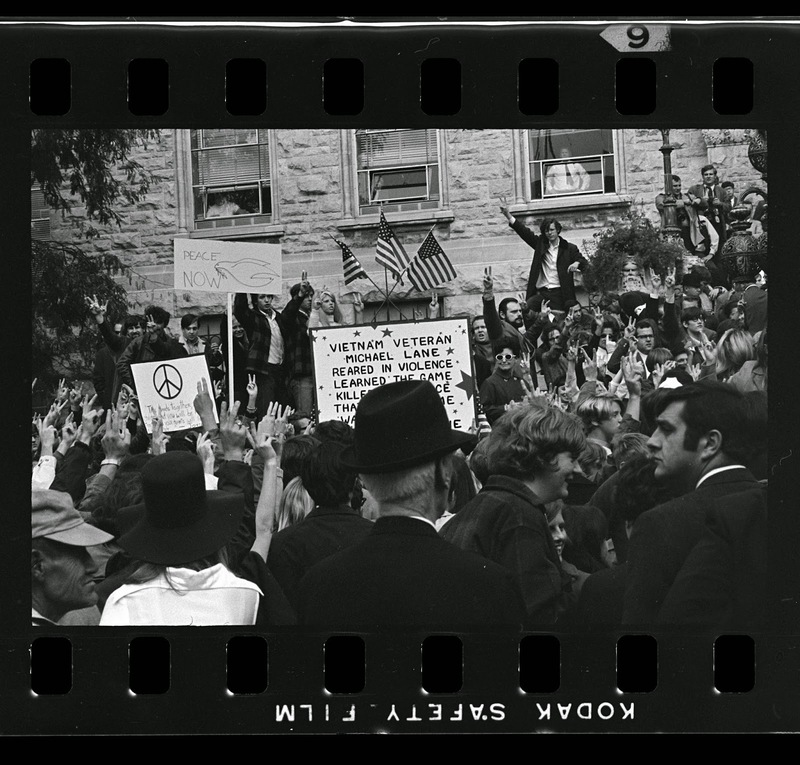 The collection comprises a scrapbook and photo negatives that document everyday life in Lexington, Kentucky, from April to June 1968, following the assassinations of Martin Luther King, Jr., and Robert Kennedy. Some photographs also appear to be taken in Cincinnati, Ohio. The scrapbook additionally contains quotes and poems accompanying the photographs. 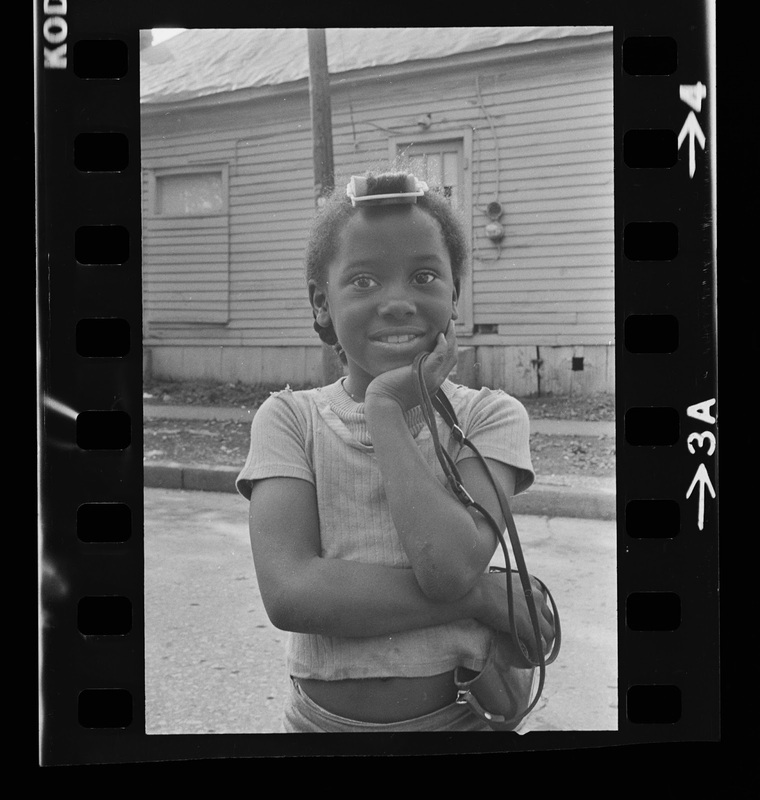 Many of the negatives and scrapbook pages detail African-American life on Kenton Street in Lexington. 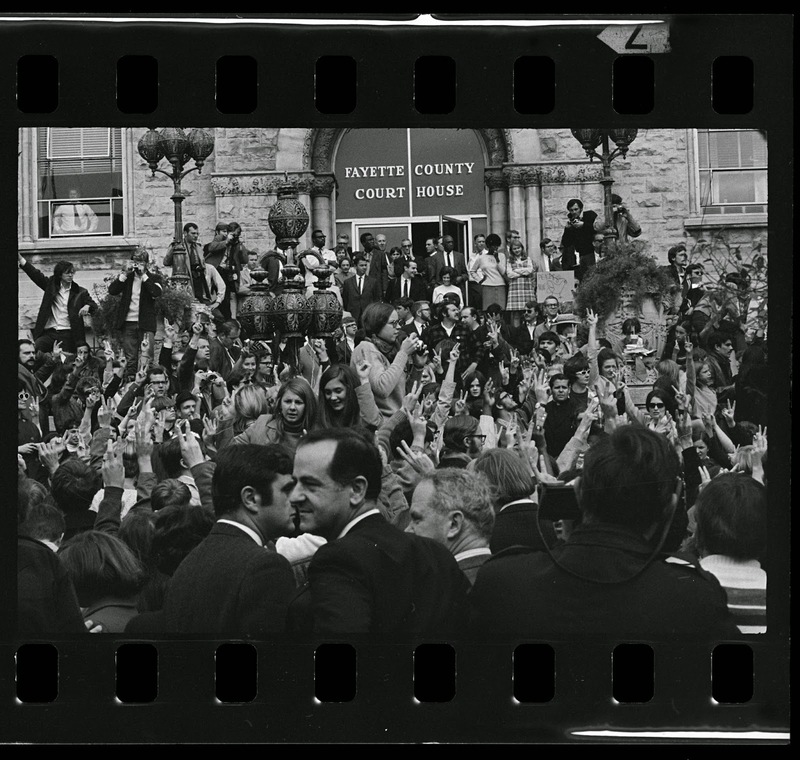 Some negatives show crowds in front of Buell Armory on the University of Kentucky's campus. All pictures and negatives in the collection are attributed to Alexandra Soteriou. Alexandra Soteriou was editor of the Kentuckian, the University of Kentucky yearbook, for 1969-1970. This yearbook was published without approval from the Director of Student Publications. Soteriou graduated from UK in 1971 with a Bachelors of Arts in Arts and Sciences. Friday night Y.W.C.A. gave a water-melon feast in the back yard, for the new girls. Rather cold, but lots of fun and fine melons. Long talks with certain people, with whom I agree perfectly on certain subjects. 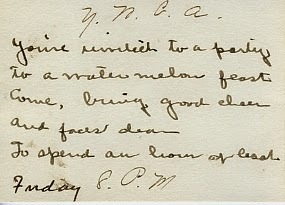 *Virginia inserted a small invitation card here that reads, “You’re invited to a party, to a watermelon feast, Come, bring good cheer and faces dear, To spend an hour at least. Friday 8 P.M.” The card is addressed to Miss McClure from the Y.W.C.A. You never quite know what you'll stumble upon in the stacks. This Prohibition-era "Whiskey 'Antique'" bottle was found hidden in a medical book called Legal Medicine. The inscription reads "A gift from Dr. W. O. Bullock to Samuel M. Wilson at the annual 'Book Party' at Landover. 12th February 1929." This bourbon was bottled in Frankfort, Ky. by the G. G. White Co. in 1913 for "medicinal purposes only". Arrived in Lexington about eight o’ clock, and came out to Patt. Hall on a “South Lime Car” Found Lillian, Edith, Lydia, and a lot of new girls. Went over to school and was 266th to register. New girls everywhere. Went to 5:25 to meet Addie. Told her about everything on the way home, She spent the night with me, and we told over past, present, and future events. Wednesday afternoon Annie, Addie, and I went to town on one of our old trips, and found Jessie Milton here. All but two of our girls back. Got out of physics, Physiology, and Botany by hard work and much wire pulling. “Juvenal” with Prof. Jones and “Psychology in English” with Prof. Noe have charms, and power to reconcile me to some undesirable things. 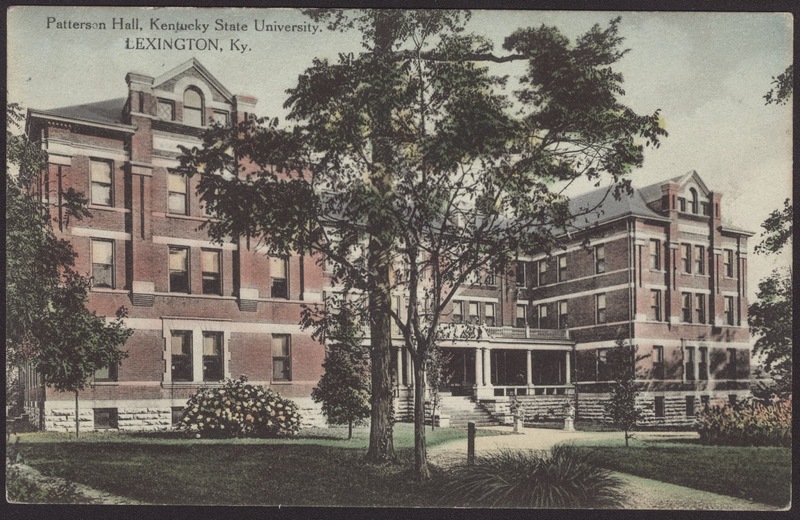 In celebration of the University of Kentucky's 150th anniversary, beginning on September 6, the diary of former student Virginia Clay McClure will be released, one entry at at time*. The diary chronicles the day to day activities of Virginia's junior and senior years at the State University of Kentucky from 1910-1912. 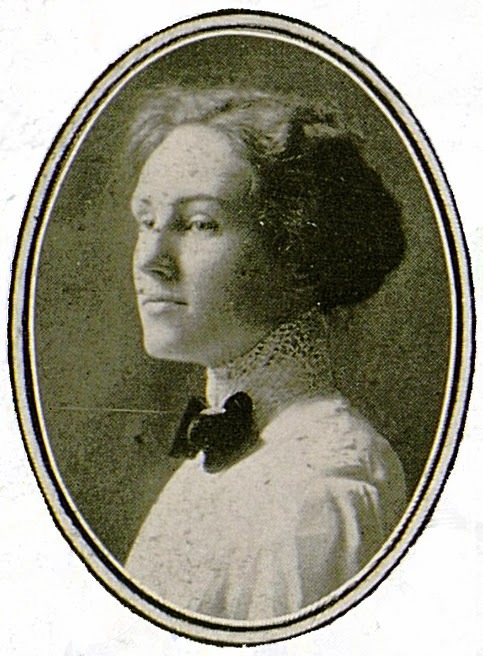 Virginia McClure attended the University of Kentucky graduating in 1912 with an AB degree and received her master’s degree in 1928, also from UK. After receiving her AB she taught for a year at Middlesboro, another year at Paducah, and seven years in Cynthiana. After this, she returned to Lexington, where she taught for nine and a half years in Fayette County Schools. At this point, she took two and a half years off of work to complete her doctorate. The first woman who received a Ph. D. from the University of Kentucky said that her department chairman did not “want a woman to get a doctor’s degree.” In spite those words, Dr. Virginia Clay McClure received her Ph. D. in American history in 1934. 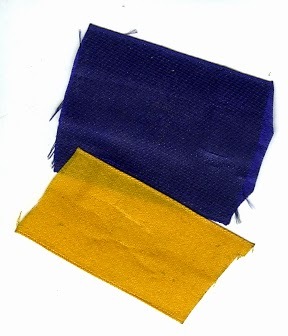 Her dissertation was “The Settlement of the Kentucky Appalachian Region,” about which “nothing had been done before.” Dr. McClure did significant original research for the dissertation and made several trips to Eastern Kentucky with Katherine Pettit, who had taught in settlement schools, including Pine Mountain School, which she helped to establish. Dr. McClure planned to teach at the college level but after finishing her dissertation in the midst of the depression, colleges were laying off faculty rather than hiring them. Dr. McClure then joined the Fayette County School system, then Lexington City Schools, and taught United States history and government at Henry Clay High School from 1934-1959. A position that she found quite rewarding. Dr. McClure was also a member of Central Christian Church and Kappa Delta Pi Honorary, Kentucky and National Retired Teachers associations, Salvation Army Auxiliary, Cardinal Hill Hospital Auxiliary and numerous historical societies. She was also a charter member of the Lexington Rose Society, twice serving as president, and was a member of the American Rose Society. Virginia Clay McClure passed away in 1980 at 91 years of age. 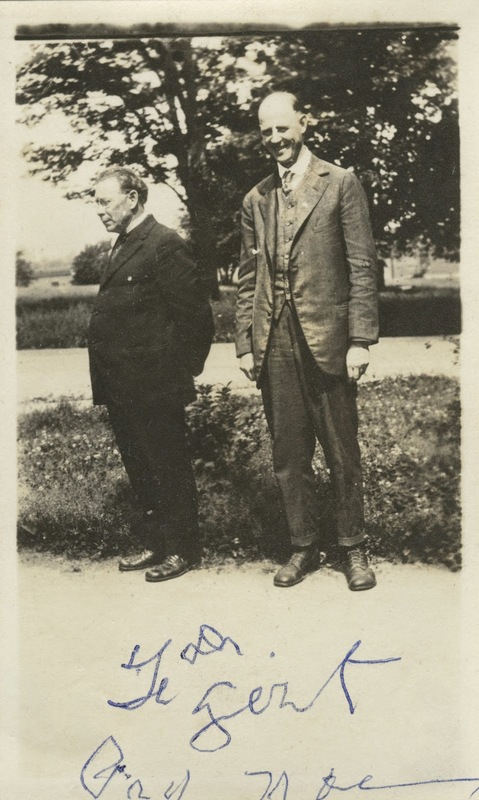 The Virginia Clay McClure papers are housed at the Special Collections Research Center and include a diary/scrapbook, a photograph album, and other assorted photographs related to Virginia Clay McClure's time as an undergraduate at State University, Lexington, Kentucky (now University of Kentucky) from 1910-1912. The scrapbook includes clippings, small artifacts, programs and invitations, but the bulk of the material is McClure's many personal writings; it follows this experience from her junior through her senior year, 1910-1912. The photograph album and loose photographs also document this time period and include photographs of her University of Kentucky classmates (many of whom are identified and also mentioned in her scrapbook); class trips and events (such as Arbor Day); and women playing basketball among other casual snapshots. *Diary transcriptions completed by Taylor Adams, SCRC Learning Lab intern.